Yamaha announcing a new bike today, in an hour! Will it be the XSR900 ?? I was wondering where the announcement was. An XSR900 would be very tempting. 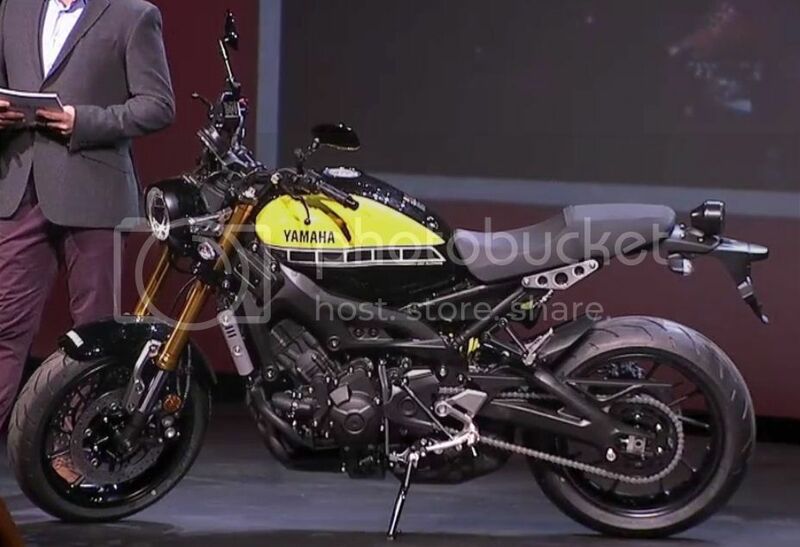 Yes, it will be a FZ09 variant of some sort. I love how there is a countdown and then they stream...."will start in few minutes". Well....the new sand buggy was cool. wait, what? MT10? Is that a naked 1000cc? I hope they show studio pics of it, still kind of hard to completely see on that vid. Could it be a R1 engine tuned? Watching weird dance while they say. styling isn't for me...maybe it will grow on me, but first impression....that "transformer" headlight = meh! the XSR900 on the other hand....I think I need that! I will be saving my pennies for this one!!! Suzuki beat everybody to the ugly naked game back in 07 with the B-King.